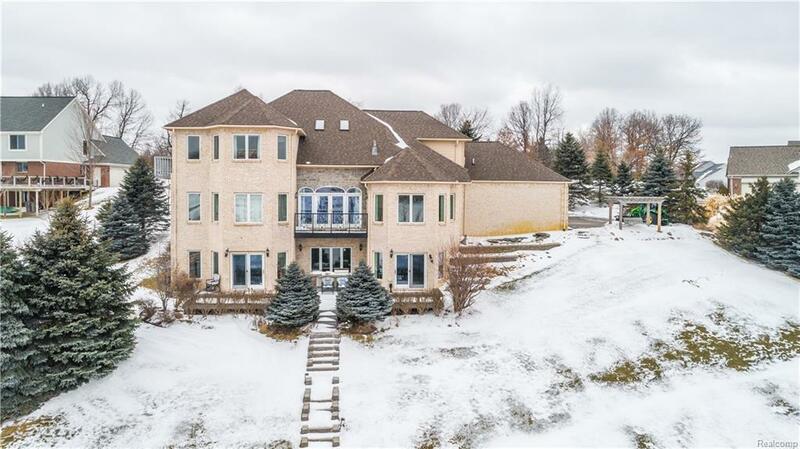 THIS EXECUTIVE STYLE HOME IS BOTH DISTINGUISHED AND SOPHISTICATED. From the moment you step into the marble foyer and venture into the large Living Room, with an amazing view of the lake, you will fall in love with the unique spacious layout. 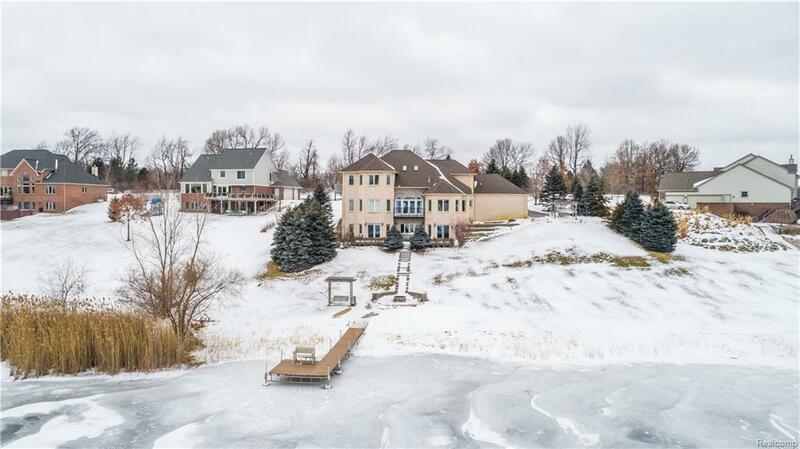 The home boasts several XLG bedrooms that face the lake, an amazing Theater Room, a huge 1st floor Master Suite & a 2nd Kitchen/Bar in the finished walkout basement. 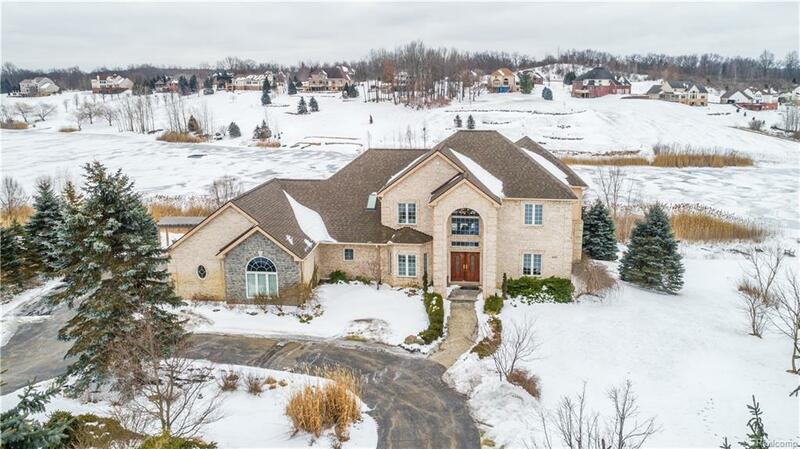 There are several features of this BEAUTIFUL home that are unique & stately: 3 of the LG Bedrooms all have lake views and are Master Suites in size and scope. The Home Theater room chairs and projection equipment stay with the home. The dock & the 2 pergola with swings come with the property. The double sided fireplace is an elegant touch. The double sinks in all the full bathrooms are highly desirable. The amount of natural light throughout the home makes it warm & inviting. All in all, this home has so many charming features that you just need to see it to Fall in Love with it.